In Part 1 of my Peru Guide, I gave you an overview of my itinerary and everything I plan to cover. In this post, I have a handful of helpful advice you will need to know before booking your plane ticket. 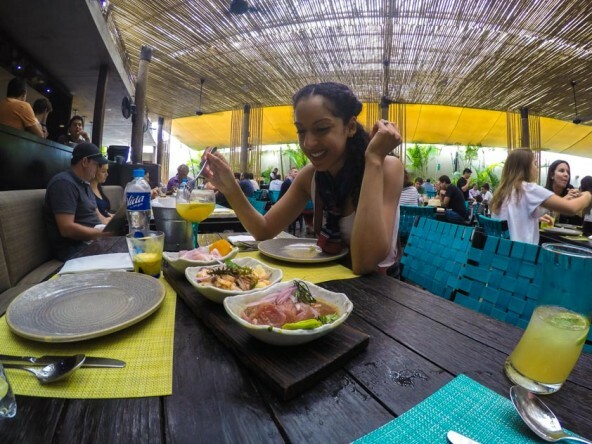 Here is my list of Peru travel tips I learned during my travels throughout Lima and the Cusco region. Before you even book your tickets, research the average weather to figure out the best time to travel based on your preferences. For example, rainy season is from December to March, but it’s also less crowded. Dry season is May to September, but there will be hoards of people. We took our chances and went to Peru in April, right in between wet season and dry season. It just so happens that they were having unseasonably dry weather at the time, so we didn’t have to deal with rain too much. 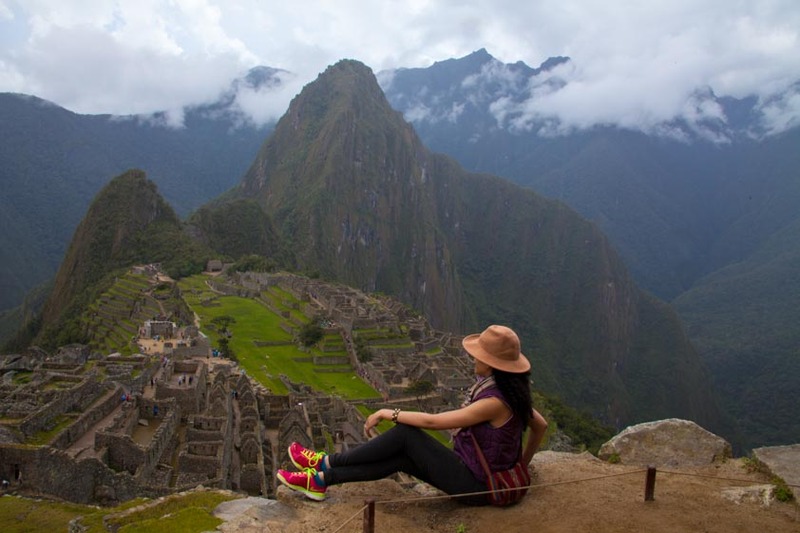 If Machu Picchu is a big reason for you visiting Peru, don’t even bother booking your plane ticket until you’ve FIRST checked to see if there are tickets to Machu Picchu available. There are only a handful of tickets so you must book in advance—no exceptions! You will drown in a puddle of tears if you fly all the way out there just to be stopped at the gate. PS. Don’t leave your passport in your hotel room on the day you head to Machu Picchu! You are required to bring it to the entrance in order to get in. Are you a foodie? Start prepping your inner fat kit—when you get to Lima the food will be unlike anything you have ever tasted. Lima is known around the world for its amazing cuisine, so don’t try to be too spontaneous here. Research the restaurants and food tours you want to try before getting there. We met some tourists who made their reservations 3 months in advance for Central Restaurante, which was named the 4th Best Restaurant in the World. CLOTHING: Layer, layer, layer! In Lima, the weather was warm, sunny and simply gorgeous. In Cusco, the weather varied, so we made sure to layer up. It’s usually recommended that you bring an umbrella and a raincoat or poncho, but I luckily got by without either. 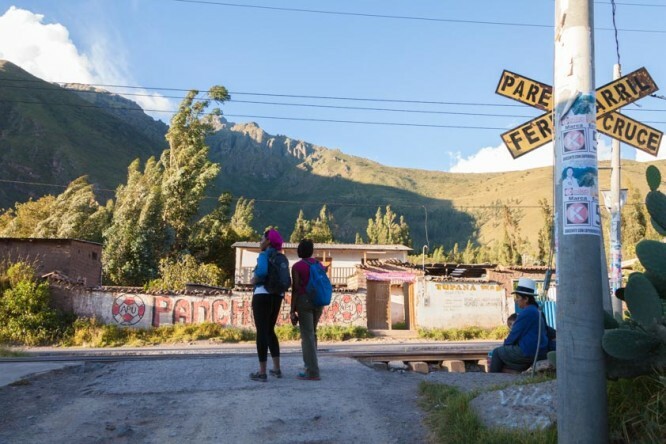 Don’t panic if you forget to pack those things either—while at the train station heading to Machu Picchu, there will be people trying to sell you everything under the sun from ponchos to selfie sticks. FOOTWEAR: As for shoes, comfort is key! If Cusco City is in your itinerary, you will be doing a lot of walking up and down the charming little cobblestone streets. A nice pair of sneakers suited my needs just fine. Don’t let the cool, cloudy weather fool you ever. The sun can get pretty intense, so pack sunblock, sunglasses, and a hat to protect yourself. Getting Altitude Sickness: Altitude sickness, also known as soroche in Peru, is a REAL thing in the Andes! Travelers respond to it in different ways—and there’s no real way to know how the high altitude will affect you until you get there. Shortly after arriving in Cusco City, I started feeling dizzy in my hotel room. What initially saved me from passing out was the oxygen tank the hotel kept for moments like these. Curing Altitude Sickness: After the oxygen tank incident, I felt much better, so we headed out to eat. But not longer after getting there, I started feeling sick again. I wound up vomiting in the restaurant’s bathroom. And that’s when I learned the ultimate trick to curing and preventing altitude sickness: coca tea (mata de coca)! The locals SWEAR by it and serve it everywhere. I felt better the moment our waiter served me some. I drank coca tea everyday and never had an issue again. My friend packed altitude sickness pills she bought online—she never got sick on the trip, so it’s possible these pills helped her. I was surprised to see that coca leaves were actually being sold as souvenirs. It made me wonder how many people actually bought some, not realizing it’s totally illegal. The mere possibility of those coca leaves being used to extract cocaine will get you into trouble back home. There will be many times where you will be unable to flush your toilet paper. There won’t always be a sign explaining this, but you’ll know when you see a trash bin next to the toilet. This is where you are expected to toss it after you wipe it. I know—it feels awkward your first time, but just go with the flow. The “bottom” line is—toss that t.p. in the trash and keep it moving. There were times when I noticed public restrooms were devoid of toilet paper…or soap for that matter. And since it’s imperative you keep yourself hydrated on this trip, you will need to unleash your bladder at some point during the day. Keep some tissue and sanitizer with you in your bag to whip out when duty calls. Thankfully, all three of us knew enough Spanish to get us by on this trip. If you don’t know any, I highly recommend you start learning. Trying learning some Quechua phrases too–this was the language of the Inca Empire, which some natives still speak despite it being sadly destroyed by the Spanish in the 16th century. Also download an app to help you translate sentences when you get there. Very rarely did we interact with anyone who spoke English, which gave us a fun opportunity to practice another language. 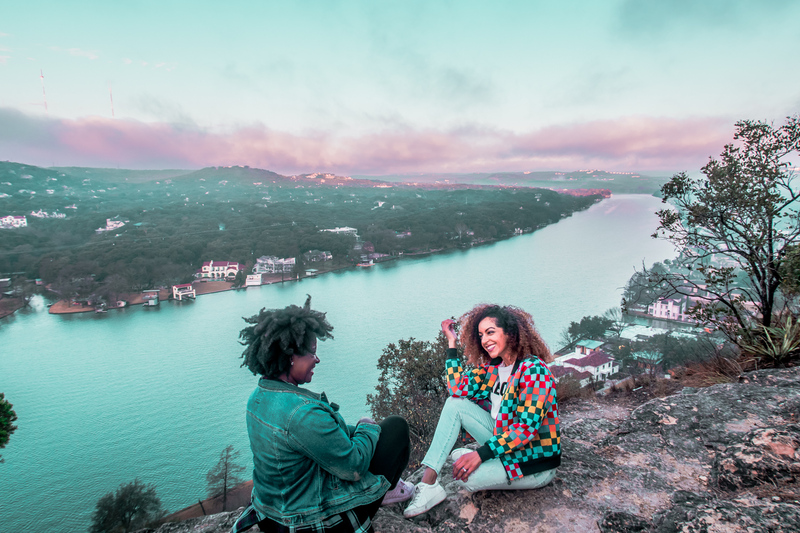 Gringos Abroad posted this list of the 12 Best Books to Learn Spanish, which was compiled by 8 travelers and expats who share their personal favorites. 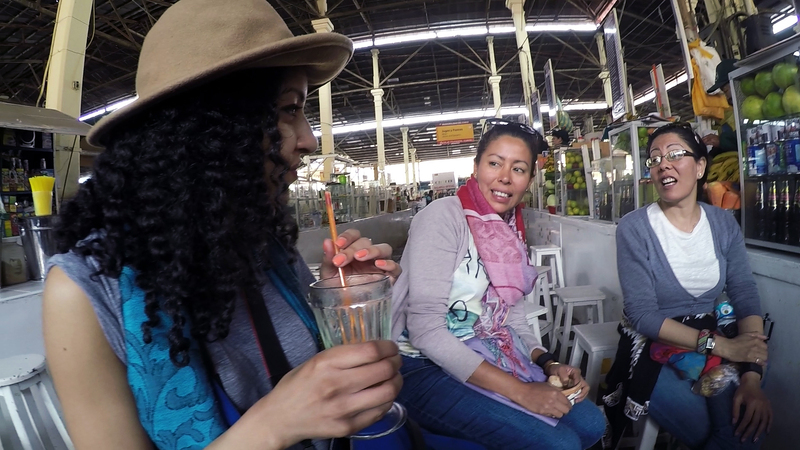 Even though my Spanish isn’t great, I still always attempted to have conversations with locals. Not once did I ever feel unsafe in Peru. Although advised to take taxis at night in Cusco, I never did. I even walked back to my hotel by myself one night. Although nothing happened to me, I still would advise not doing that. I went to Peru during off-peak season, so it wasn’t crowded at all. I would imagine during peak season, there are probably more people out targeting tourists. Bag snatching is a thing, so be incredibly smart when walking around with your stuff. Never carry your camera or bag carelessly on one shoulder. Secure it cross-body style. If you have a backpack, put a lock on the zipper or consider wearing it in front of you, not behind you. Be especially vigilant in markets and railway areas. Peruvian culture is beautiful! 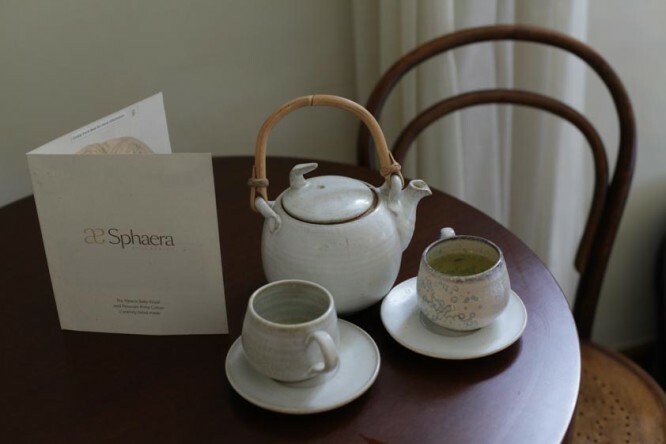 Don’t get so caught up in seeing the major hotspots that you forget to take time to explore the local culture. That’s what this blog is all about after all. There are plenty of unique ways to get off the beaten path and immerse yourself. 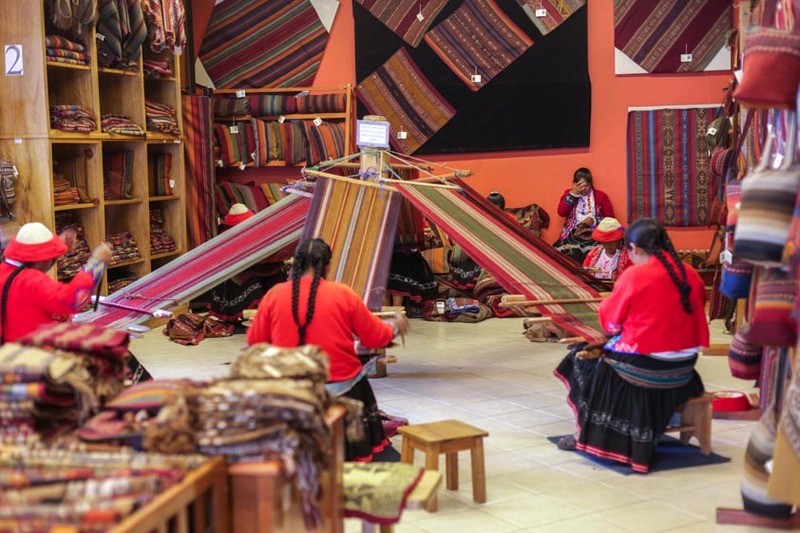 One of my favorite cultural activities was visiting the Center for Traditional Textiles in Cusco. It gave me the opportunity to support ethically made products, see women traditionally weaving textiles in front of me, and learn about the history of Cusco’s textiles. 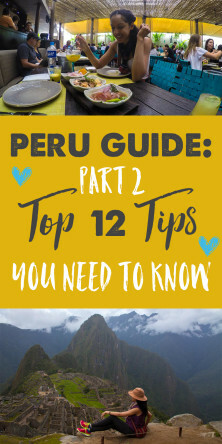 PERU TRAVEL GUIDE: CONTINUE TO PART 3! This covers where we stayed, what we ate, and what we did our first two days in Cusco City. For the full rundown on where my two friends and I stayed, what we did, and how we traveled from one place to the other during our journey to Machu Picchu, subscribe to the newsletter and follow me on social media so you don’t miss when the rest of the guide gets posted! 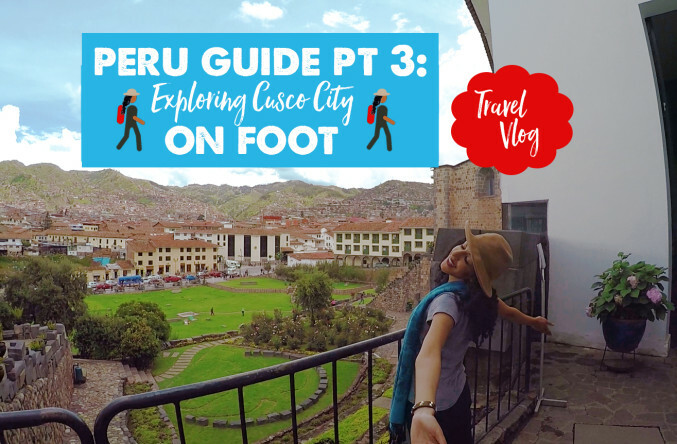 Have you been to Cusco or want to plan trip there? Let me know in the comments section below! Wow, what a cool place! Um, brilliant tip about bringing your passport to sites, whether you know it’s required or not. We’ve made that mistake before. And yes!! Layers!!! We live by that rule even when it seems like it’ll be beautiful all of the time, and we’re even more careful about it when in the mountains…like Peru. Exactly! You’re a smart guy Rob Taylor 😉 You never know what the weather will be like in those mountainous areas! Honored to be included in your list (tip #10). You’re very welcome Bryan! #10 is important in Peru 😉 Your list of Spanish language books will be very helpful for travelers. Useful tips and ones we will definitely remember when we book a trip to Peru, super high on our bucketlist! I first read the first part of this series and loved it, this one is thorough in all the details it provides. It is indeed a complete guide. If we ever get to Peru, we will definitely treat your Peru-series as our bible. Awesome! I hope it helps. 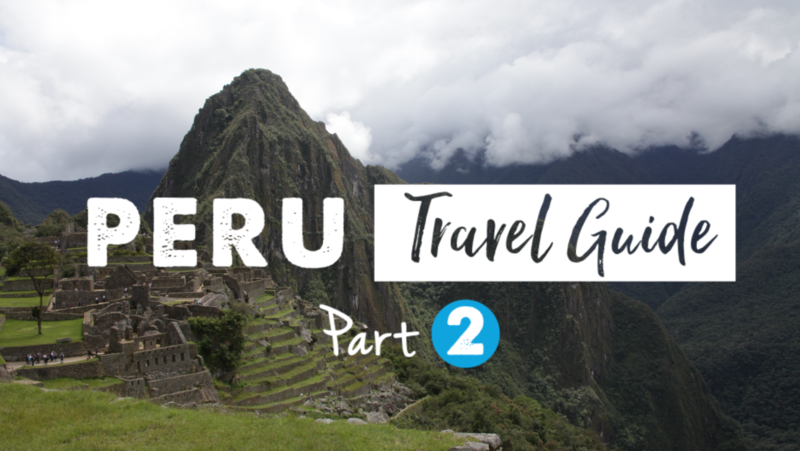 This is a really comprehensive guide to some of the practicalities of travelling in Peru. Great advice about layering up, carrying your passport to sites, and how to deal with altitude sickness. And yes, definitely not cool to bring coca leaves home with you. The sniffer dogs in the airport would presumably have a field day 🙂 I am looking forward to reading part 3. I didn’t realize you had to book Macchu Picchu in advance! I went so long ago that I don’t remember if we were able to get tickets at the entrance. I can only imagine how frustrating it would be to get to the site and not be allowed entrance! Also, I wonder how many innocent tourists try to bring coca leaves home with them? Love the video Renne. You present really well and the graphics are cool! There are some really useful tips here about visiting Peru. I went to Peru a couple of years ago but didn’t have time to go to Machu Picchu. You’ve inspired me to put it on my bucket list! Well, would you believe it – I happen to be going to Peru myself next April! Hopefully I will strike lucky with the weather as you did, but will prepare for every eventuality just in case. 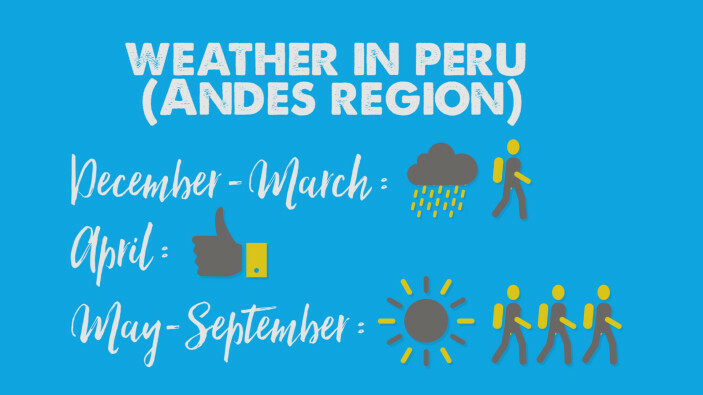 All very useful tips here, particularly relating to altitude sickness (grappled with that at Kilimnajaro in Tanzania, and am hoping the experience will stand me in good stead), booking Machu Picchu in advance and learning the local language. 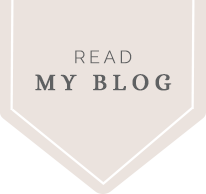 A very useful post for me, thanks for sharing! Very helpful tips, especially for a first timer. Aiming to visit Peru within the next 2 years. What a fantastic post, filled with helpful info. 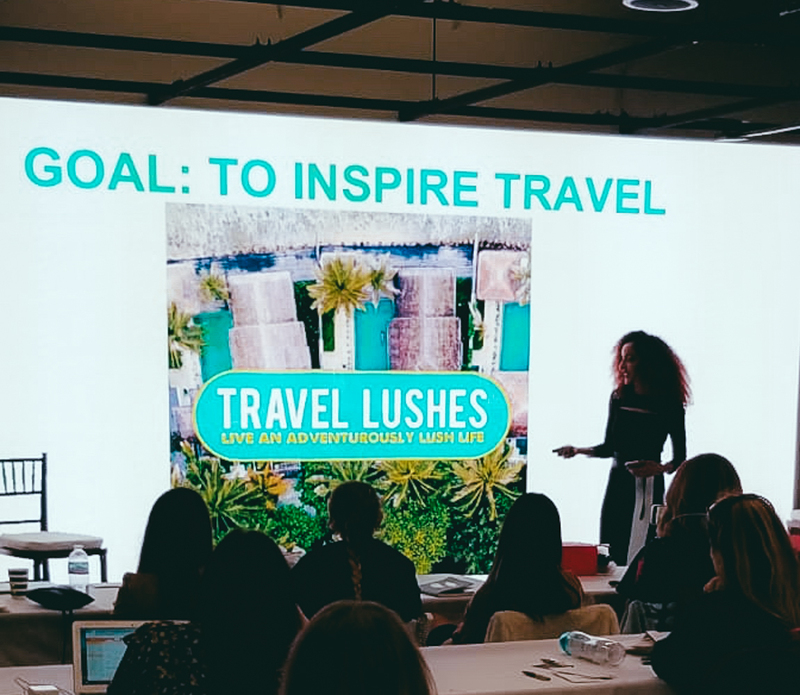 We’d love to hit up Peru one day soon and your post will be a massive help 🙂 Do you mind me asking what programme you’ve used to create your Pinterest image? It looks fab!